A native Texan and devoted Dallas Cowboys fan, Jack Beesley has dedicated his life to helping injured Oklahomans. Jack holds a Juris Doctor from The University of Tulsa College of Law as well as a bachelor’s degree in journalism from The University of Oklahoma. While in law school, Jack served as an articles research editor for the Tulsa Law Review. He’s also been the lead counsel (first chair) at jury trials across the state in the Tulsa, Creek, Cleveland, and Canadian Counties. Admitted to the Oklahoma State Bar in 2011, Jack is licensed to practice before all State and Federal Courts in Oklahoma. 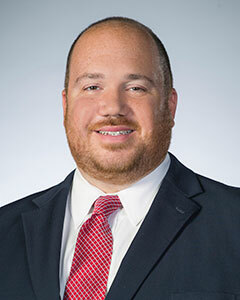 Jack’s abilities have led him to successfully settle commercial trucking, motor vehicle, rear-end collision, auto-pedestrian collision, slip and fall, and insurance bad faith cases, to name just a few. He can proudly say that throughout his career he has never represented insurance defense companies, instead choosing to serve those who need it most: the people of his community. Outside of the legal world, Jack is an accomplished musician and avid sports fan. While in college, he covered both the OU football and OU baseball teams for his college’s newspaper. Nowadays, he gets his sports fix rooting for the Cowboys and coaching youth basketball at his son’s school. A drummer since the age of 10, Jack has been in rock, country/western and jazz bands, and he currently plays in a Red Hot Chili Peppers cover band.